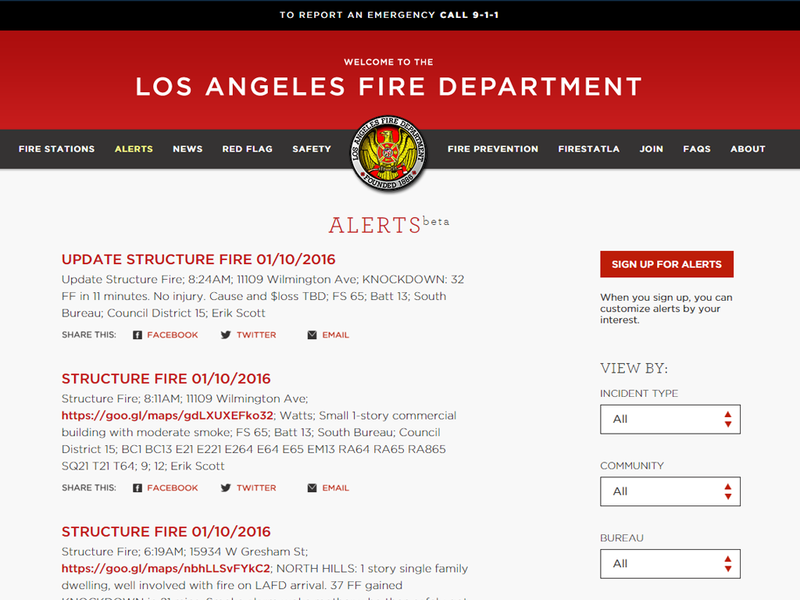 The Los Angeles Fire Department hired Lightray to revamp and upgrade all their web-based systems - the public website, the alerts system and the intranet. Lightray hired Kevin as the project's Chief Technology Officer and Imagistic as the project's development partner. 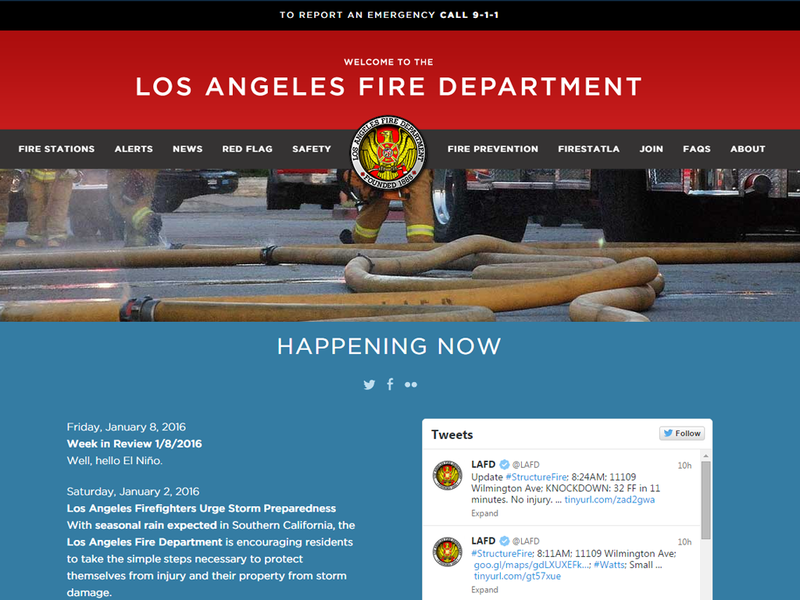 Imagistic worked with the LAFD and Lightray to rebuild, from the ground up, their web presence. The project included powerful brand positioning, live community-based alert system, responsive development, ADA compliancy and a well-tuned, easy-to-update CMS. 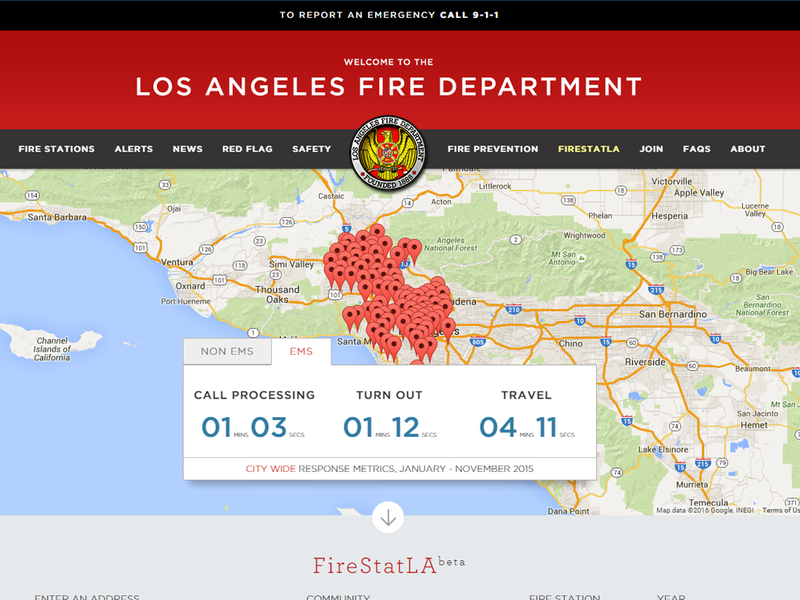 Worked with core LAFD team and Lightray to guide an efficient and robust technology solution. Deployed the Drupal CMS enabling staff with little technical expertise to quickly update content on every page. Developed a real-time alert system leveraging PuSH technology. Integrated best practices security for system access. 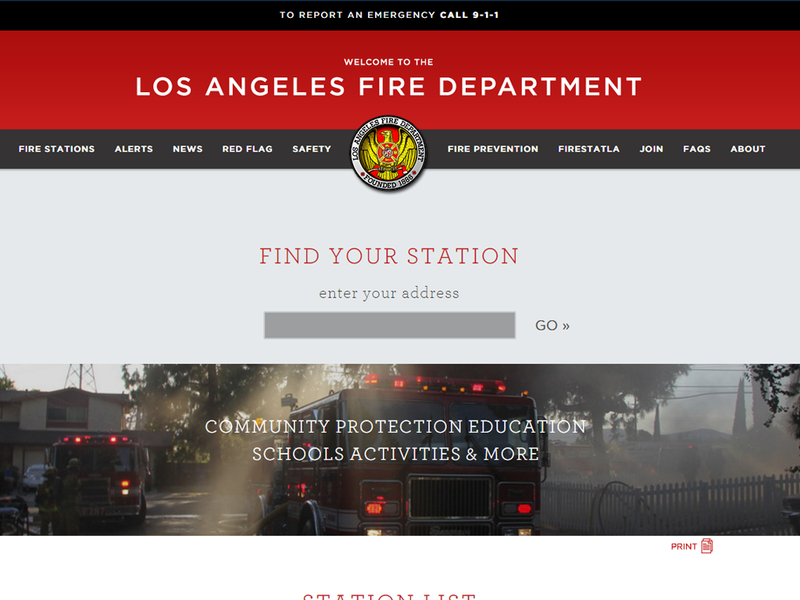 The Los Angeles Fire Department Foundation supports the LAFD in protecting life, property, and the environment by providing essential equipment, training, and public outreach programs to supplement city resources. In addition to the website, the Foundation recently purchased and donated 3,200 brush fire helmets. 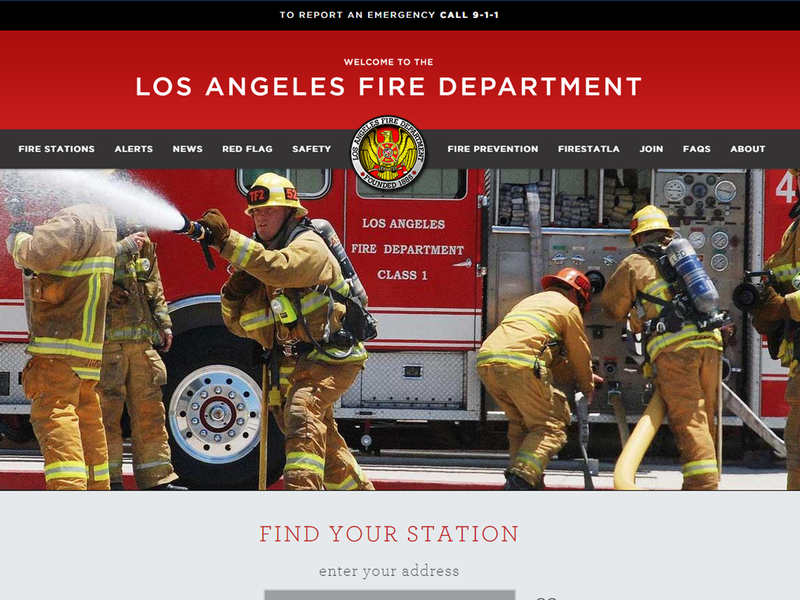 The Foundation is the major source of private support to the LAFD.